There are an incredible amount of reasons to go to Greece, just like there are an incredible amount of things to do once a traveler arrives there. Greece offers incredible scenery, both high up in the mountains, as well as down along the coast. Greece offers an exciting social scene with many great bars, dance clubs, and nightclubs in both the resort areas, as well as in areas more frequented by locals. One of the top things that attracts people to Greece though is the incredible amount of historic attractions there are to see there. The capital city of Athens was the hub of the Greek world, and today it possesses many structures and locations of great interest to those with an appreciation for history. Greece is located in southeastern Europe on the Balkan peninsula. The ancient Greeks built a society that would be envied by all others. There were many contributions to society and mankind as a whole made by the Greeks of yesteryear. A great deal of these contributions are visible today, some well kept after centuries and others laying in ruin. The city of Athens is the place to start when a traveler desires to see some of the many historic sites left behind by Greek society. Visiting these sites is a great way for a traveler from outside the area to become more in touch with this once great society that changed the course of the world. 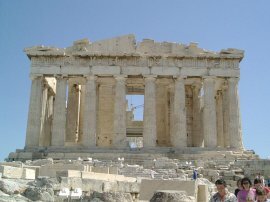 Here is a look at just some of the great historical things to see when vacationing in Athens, Greece. Agora lies in ruins now, but during it’s glory days it was a vibrant and active open marketplace where Greeks came to buy, sell, and trade their goods and services. 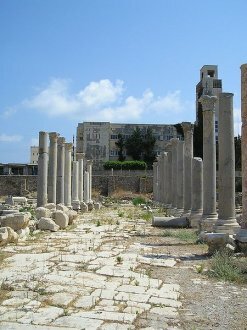 The ruins are popular with visitors as many other historic structures are dedicated more to the religious, ceremonial, or government lifestyle; while Agora has ties to the common man of ancient Greece. Another thing that makes Agora popular is how close visitors can get to the actual ruins. Guided tours are available and there is also a small museum with many artifacts from this area on display. One of the most recognizable and famous landmarks in Athens is the legendary Parthenon. This building is still today admired by architects who are appreciative of both the decorative design, as well as the engineering involved in it’s construction and the perfect proportion that it exhibits. The large white marble columns are imposing and even the casual tourist can see how it has influenced architecture through the many years since it was built. Those interested in history, even those who have read a great deal about the Parthenon, will be impressed beyond belief with the opportunity to see this historic structure up close and personal. There is a lot of walking involved when touring the Parthenon and the rest of the Acropolis, tourists should be sure to wear comfortable shoes. 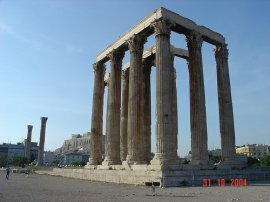 One of the most impressive monuments to see up close is the Temple of Olympian Zeus. From the arch entry to the amazingly tall white granite columns, this is one of the more eye opening historical sites in Athens. Many people see this monument from afar, or even from the window of a taxi, and never stop for a first hand look themselves. This is a huge mistake as the size of it cannot truly be appreciated without visiting it up close. 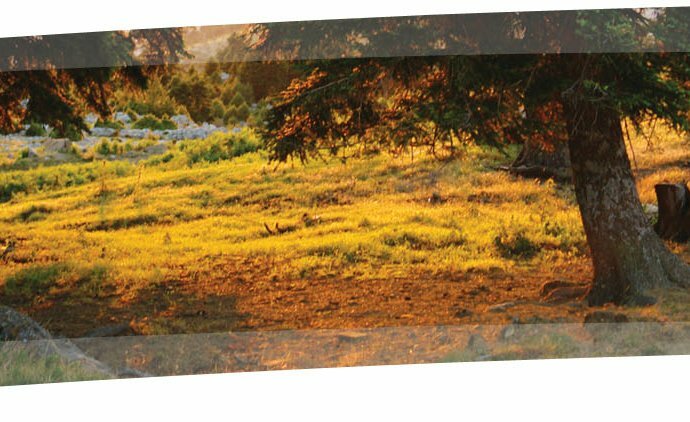 Some of the best photographs taken during a vacation to Greece are taken in front of the Temple of Olympian Zeus in Athens. Plaka is a historical neighborhood located in Athens and is one of the best places for those with an eye for history and culture to take a leisurely stroll. While there are fabulous shops and restaurants here today, it is important for the traveler to remember as they are walking around that this neighborhood has been apart of Athens for many centuries. 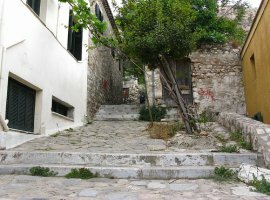 One of the best ways to experience Plaka is for the vacationer to just allow themselves to get lost among the many side streets and shopping areas presented there. Choosing a restaurant is easy as there are so many high quality ones to choose from there. Visiting the Plaka leaves the traveler with an appreciation for Greek history, culture, cuisine, and handmade goods. Built into the hillside and providing a nice view of Athens is the Odeum of Herodes Atticus. This theater was constructed in the second century and was an important gathering place for both the upper and lower classes. The facility holds a little over 5, 000 people, is located just below the Acropolis, and is still used for performances to this day. Watching a performance at the Odeum of Herodes Atticus, especially a Greek performance, is a truly special experience. Though the facility has been modernized, it is still possible for the visitor to block everything out and think of themselves as viewing a production in ancient Greece. Performances aside, the actual structure is something to be seen and appreciated as well. The layout of it is very advanced and it has been kept in amazing shape through the centuries since it was first built. Use a promotion code for orbitz to get the best rates on Greece. Orbitz is one of the top travel sites worldwide. They frequently offer orbitz promotions, which can lower costs during checkout. Visiting Athens, and the rest of Greece, is a real treat. Those that make the trip will enjoy visiting the significant mountains, many islands, and beautiful beaches. Tourists going there should not miss out on getting a first hand look at some of the amazing historical sites that remain accessible for modern era people to enjoy in a way they thought they never would. It is one thing to read about ancient Greece in history books, or see movies and documentaries about it on television. It is truly quite something else to walk amongst the ruins and see modern Greeks interact on a daily basis with such prime examples of their history. No visit to Athens is complete without visiting the many historical attractions that are found there.